Crunchy, tangy, and bursting with flavour! 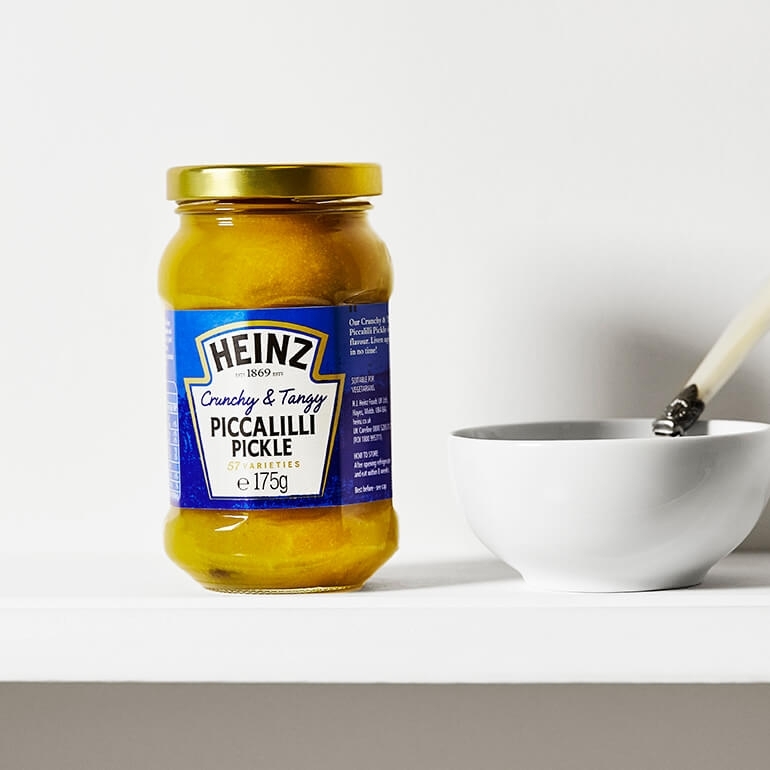 This Piccalilli Pickle is a deliciously fruity and tangy pickle from sauce masters Heinz. It contains an intoxicating mixture of marrow, cauliflower and turmeric as well as various other vegetables and spices. Heinz Piccalilli Pickle is a great accompaniment to a pork pie or a ploughman’s lunch. If you have never tried this condiment then give it a go – you won’t be disappointed. Pork Pies and Piccalilli Pickle is a must.